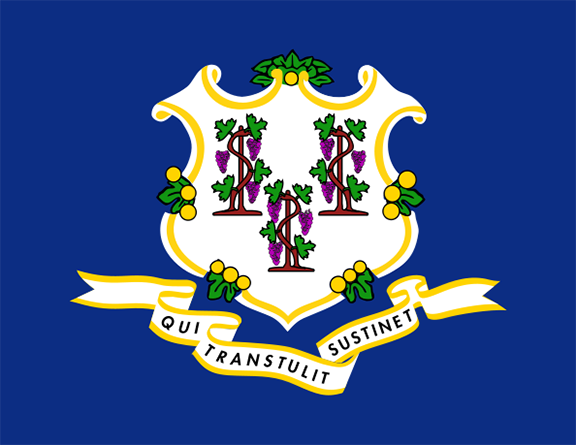 Requirements Connecticut is a voluntary training state. Sec. 30-47 (b) The Commissioner of Consumer Protection may, in his or her discretion, require a permittee who has had his or her permit for the sale of alcoholic liquor suspended or revoked pursuant to subsection (a) of this section to have such permittee's employees participate in an alcohol seller and server training program approved by the commissioner. The commissioner may require proof of completion of the program from the permittee prior to reactivation or reissuance of such permit. Certification TIPS Certification is valid for 3 years. Dram Shop Liability Laws Sec. 30-102. Dram Shop Act; liquor seller liable for damage by intoxicated person. No negligence cause of action for sale to person twenty-one years of age or older. If any person, by such person or such person's agent, sells any alcoholic liquor to an intoxicated person, and such purchaser, in consequence of such intoxication, thereafter injures the person or property of another, such seller shall pay just damages to the person injured, up to the amount of two hundred fifty thousand dollars, or to persons injured in consequence of such intoxication up to an aggregate amount of two hundred fifty thousand dollars, to be recovered in an action under this section, provided the aggrieved person or persons shall give written notice to such seller within sixty days of the occurrence of such injury to person or property of such person's or persons' intention to bring an action under this section. In computing such sixty-day period, the time between the death or incapacity of any aggrieved person and the appointment of an executor, administrator, conservator or guardian of such person's estate shall be excluded, except that the time so excluded shall not exceed one hundred twenty days. Such notice shall specify the time, the date and the person to whom such sale was made, the name and address of the person injured or whose property was damaged, and the time, date and place where the injury to person or property occurred. No action under the provisions of this section shall be brought but within one year from the date of the act or omission complained of. Such injured person shall have no cause of action against such seller for negligence in the sale of alcoholic liquor to a person twenty-one years of age or older. Acceptable Forms of ID A government-issued identification card or driver's license, either Connecticut or out-of-state; an active Military identification card; a U.S. Passport, or an Alien Registration card.